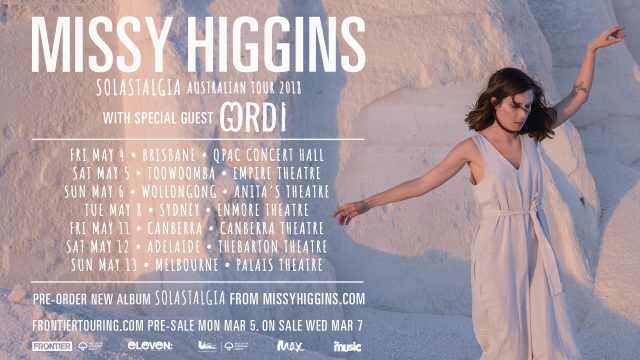 Missy announces stand-alone headline show on the Gold Coast on Sat 2 Mar! 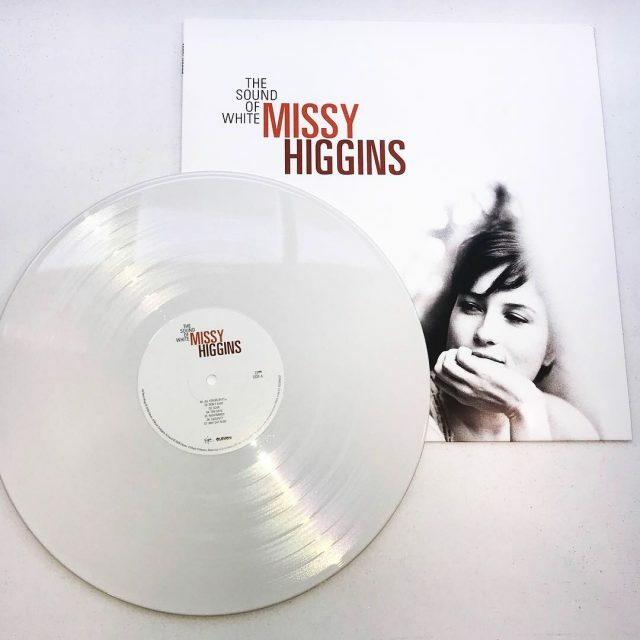 Fan pre-sale starts Wed 14 Nov at 2:00pm local time (access this by signing up to my newsletter at www.missyhiggins.com/mailing-list, password will be sent out 24 hours before the pre-sale begins), and general public on sale is from Fri 16 Nov at 11:00am local time via www.missyhiggins.com/shows. Very excited to announce that I’m doing a TV special on the ABC supported by Double J as part of Ausmusic month celebrations on Sun 25 Nov at 8:40pm 🎵✨ This show is going to be so fun, and I’ll have some incredible guests joining me on stage including Peter Garrett, Kasey Chambers, Dan Sultan, Gretta Ray and Ben Abraham! My career all started because of winning triple j Unearthed way back in 2001 so it feels like a pretty cool “coming full circle” moment. There’ll be a chance for you to win tickets to be in the audience so, keep an eye on my socials for more details on this later! To me, songs can be “special ones” for lots of reasons. 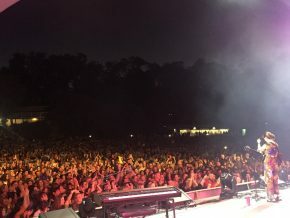 Usually, they’re the ones that get the biggest reaction at gigs, the ones that most connect with people, the ones that seem to have touched on some universal truth. They’re the hooky ones you can sing out loud in the shower while no one’s watching and imagine you’re in a stadium. But some are special for other reasons. They’re the ones that unexpectedly squeeze at your heart. They move you in a way you find hard to articulate, they roll to the rhythm of some internal beat you knew was there but couldn’t quite express. This album tries to balance these two types of Special. I hope you enjoy it and, while listening, I hope you’re taken back to some special place in your memory you’d forgotten about. Musical time travel. And for the new songs on here you haven’t heard, maybe you can make some new memories. Special Ones, particular to just you. Happy listening! I originally wrote this song for my wedding. 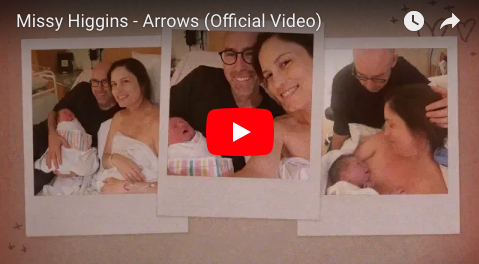 The lower register of my voice actually changes a bit when I’m pregnant, I guess it’s the hormones or something but, anyway, I wanted to take advantage of those temporary extra notes to record this song. We only just made it. A couple of days later and it would’ve had to be a duet with our little girl! 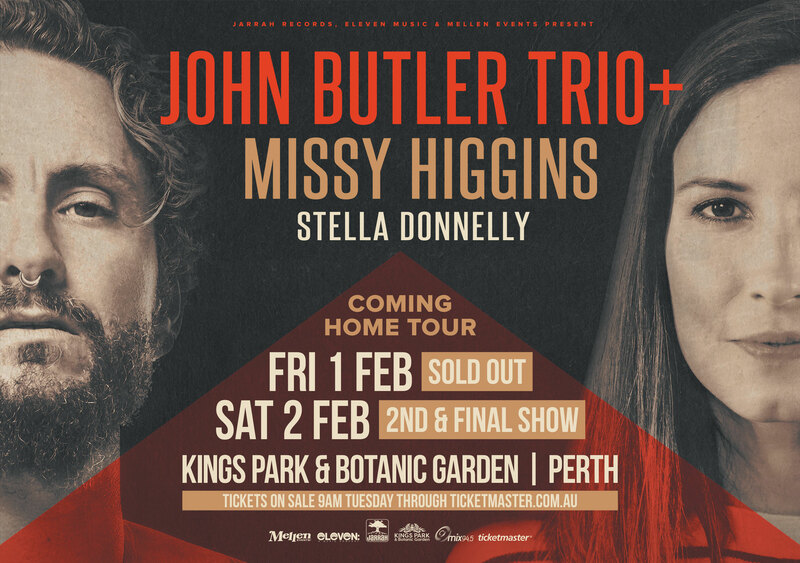 Hey everyone, I have some exciting news – today I am announcing that early next year John Butler Trio and I are touring together!! John and I go way back (he was one of the first people that took me out of the road as a support artist when I was a wee tacker!) and I’m so excited to be touring with him and his crew again. 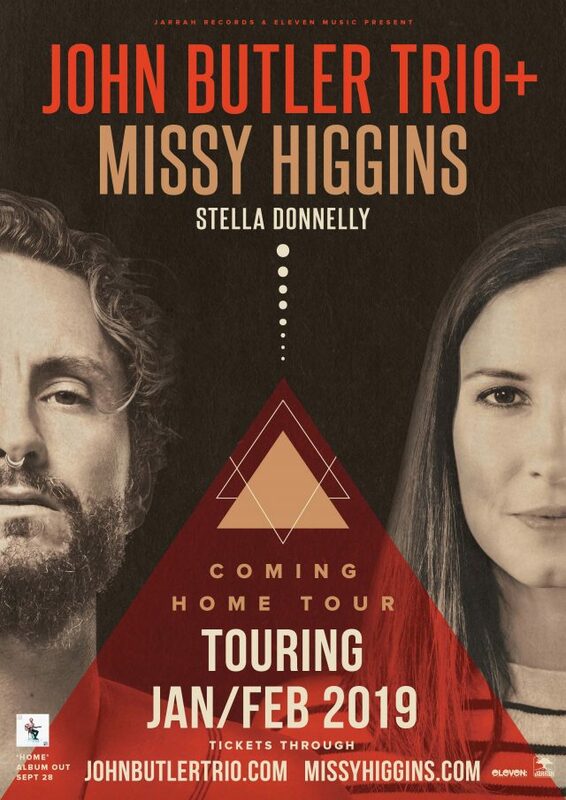 The shows are going to be really special, I’ll have my full band and we’re playing such great venues including, for example, the Sydney Opera House forecourt! Awesome. As many of you know, my new little bub Luna is just a few weeks old now so this will be the first tour I take her on (apart from the tours I did when she was in my belly!) 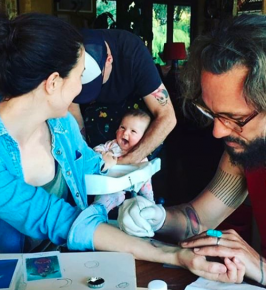 so it’ll be hectic but lovely to have the whole fam on the road! Fan pre-sale starts Wed 19 Sep at 12:00pm AEST for 24 hours or until allocation exhausted. 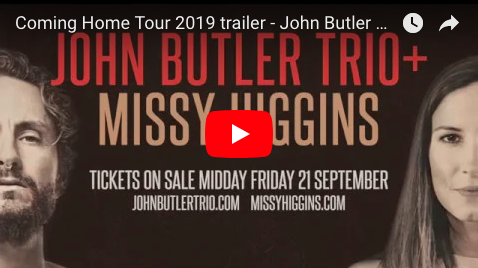 Pre-sale password and links will be sent via my mailing list on Tue 18 Sep at 12:00pm – sign up here. General public on-sale from Fri 21 Sept 12:00pm local time. At the end of this year there’ll be more special things music wise to announce so STAY TUNED (!!!! ), and I’ll be in touch. Till then, see you on Instagram/the socials, and hope to see you at some of the shows next year! Fan pre-sale starts Wed 19 Sep 12:00pm AEST for 24 hours or until allocation exhausted. 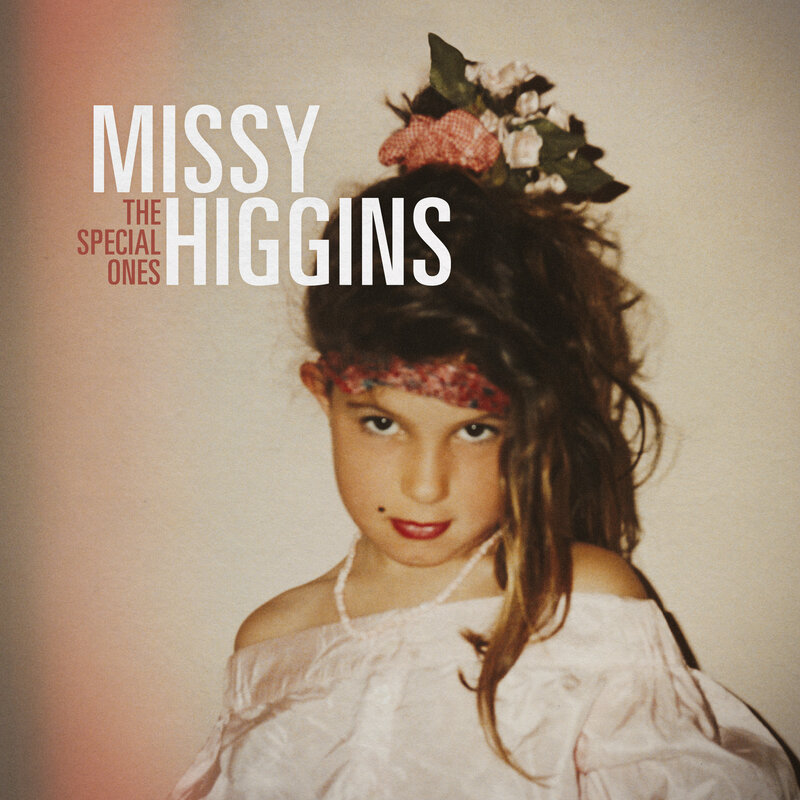 Pre-sale password and links will be sent via Missy’s mailing list Tue 18 Sep 12:00pm. GP on-sale from Fri 21 Sept 12:00pm local time. 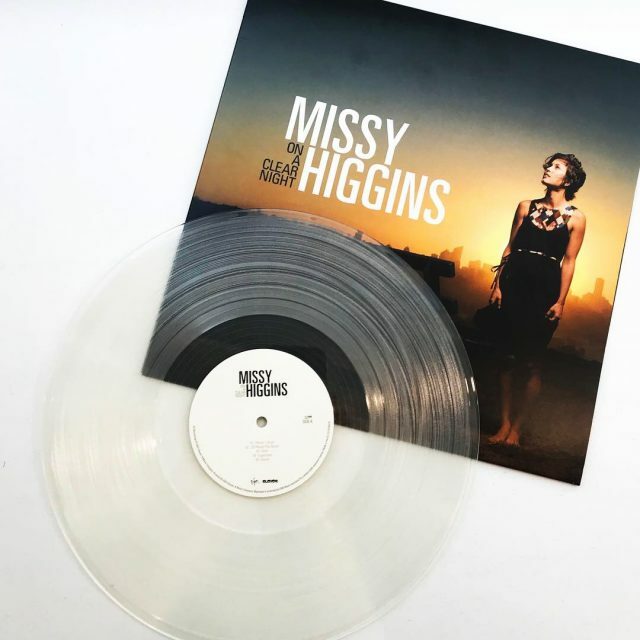 Head to www.missyhiggins.com/shows for GP ticketing links. 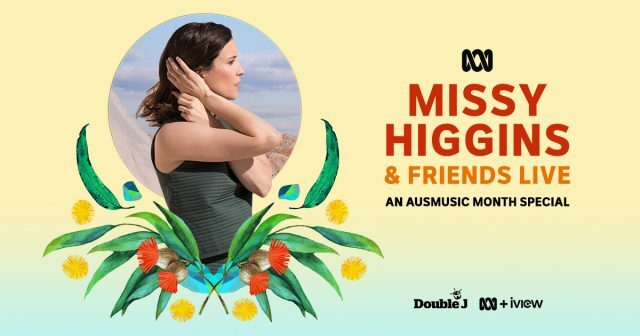 Missy to play in Broome on June 16 for a good cause! Hey everyone, today is the day… it’s out! #Solastalgia, my fifth studio album is released into the world! You can listen to it here. This album was a monumental undertaking with collaborations across the globe, lots of cases of trial and error, and many, many stolen hours in my little home studio getting it right. I wanted to write an album full of stories about the end of the world. This idea began, I think, because of my fear of bringing a child into a world of climate change. There are many songs on ‘Solastalgia’ that deal with this, but the album ended up being about something much bigger. It ended up being more like an epic, existential reflection on the passing of time, about the new fears and joys of parenthood, about possible scenarios during an apocalypse where love is the one thing that keeps the soul clinging on… there are songs about lessons learnt from past mistakes, letting go of the ‘stories’ we tell ourselves, and choosing the light over the dark. I hope when you listen to it from beginning to end it tells a story, and that you take from it what you need. I’m really proud of this album so most of all I really hope you like it too! 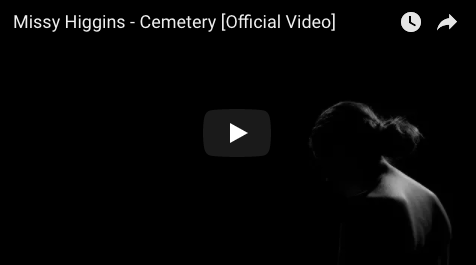 The second exciting bit of news is: the music video for #Cemetery is out also today! I had a blast shooting this with my good friend and long-time collaborator, Natasha Pincus. She also directed my videos for ‘Everyone’s Waiting’, ‘Unashamed Desire’ and ‘Oh Canada’. In other words, she’s bloody brilliant. This video was shot all in one take, and I have to thank the whole camera and lighting crew who put in so many hours getting their moves so perfectly right, so that I could just come in and sing the song. Then of course there’s the VFX (the little lights you’ll see as the clip progresses) which were done by dream-team GRAMM. I’ve never done a black and white clip, nor a one-shot clip before that was so stripped back and raw. I hope you like it, and that you’re digging the new song. Thirdly, the May tour! We are starting rehearsals tomorrow, and the first show is this Wednesday. There are six of us on stage, including four ladies with awesomely huge voices so the harmonies are going to be pretty spectacular… I feel very lucky. Where’d you end up now? Do we even live in the same town? Hey everyone, today I release the next single off my album! It’s called ‘Cemetery’, and is maybe my fav track on the new album. At its essence it’s about a relationship that felt like flirting with death; a heart-exploding kind of love that was dangerous and exhilarating but ultimately could never last. I wrote it with my good friend Pip Norman, who is responsible for a lot of the cool new sounds you’ll hear on this record. 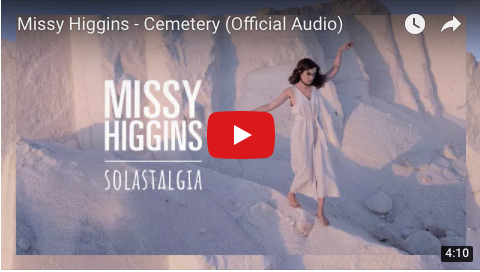 Listen to ‘Cemetery’ here. The full album ‘Solastalgia’ is out on April 27, and there are still a few signed copies available if you pre-order it here. My upcoming tour in May, I’m excited to say, is pretty much sold out apart for a few limited tickets left for the Toowoomba show at the Empire Theatre. That venue holds very special significance for me, as I filmed the video for my single ‘Torchlight’ inside it, it’s a magnificent old theatre. Tickets to that show are here! That’s it from me for now – follow me on Instagram for more regular updates and silly photos, otherwise I’ll see you at one of the shows very soon!! A LOT of very exciting news today: firstly my new album ‘Solastalgia’ is out May 4, and is now available for pre-order! Whoop! It’s a huge journey, this album. It’s a journey through hope and despair, and ultimately hope again. One thing my partner said to me is that it feels like “a meditation on time”. And I think that’s spot on. The notion of time has changed so much for me since becoming a parent. I now feel imperative to someone’s survival yet at the same time completely obsolete in the grander scheme of things. Sometimes I look into the future and think about the world I am bringing my son into and what a debilitatingly huge responsibility that is… I think about the mistakes I’ve made and how I can try to make the future safer for him and his children and their children and their children… but then I think about the capacity for love I now feel in my chest that I never knew was possible and how that in itself gives me so much hope. To know that exists, in the universe. Especially when I think about all the glowing little rotating spheres of love out there in everyone’s chest, full of love for each other, for our favourite friends, our family… When I think about the capacity all of that has to have, it gives me hope. SO that in a nut-shell is the album. But there’s a lot more to it which I’ll tell you about later. 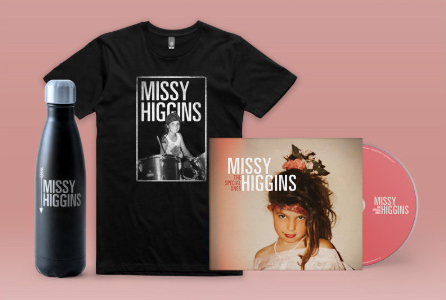 There are heaps of different signed pre-order bundles of the album available (check my website here to see them all), and if you pre-order you get ‘Futon Couch’ and an album track ’49 Candles’. 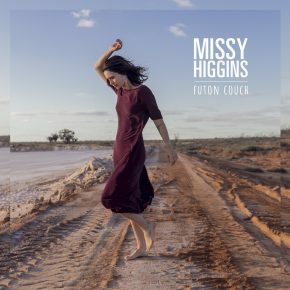 On to lighter things and the SECOND bit of news is that finally my ‘Futon Couch’ video is out!!! I had an incredible amount of fun dancing all day with these crazy wonderful dancers. It almost appears as though I did a bit of dancing too, which surprises me more than it surprises you, trust me. I’ve never done anything like the clip before (just like I’ve never written a song like ‘Futon Couch’ before) and I thank director Josh Harris for throwing me out of my comfort zone, it was worth it! I hope you love the video too. The third bit of news (and maybe the best?) is that I am doing my own tour in May! 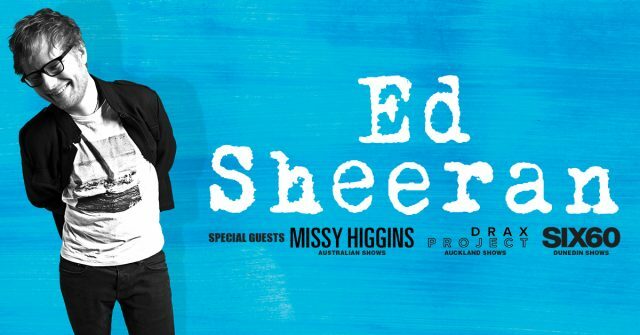 So those of you who won’t get a chance to see me on the Ed Sheeran tour (or will see me but still want to see a proper full-length show, as I’ll only be playing a short set with Ed) please come along! There aren’t a huge amount of dates so get in early with tickets. All the dates and details are below – it’ll be a great show, prepare yourself for four strong women at the front of the stage blowing your wigs off with a tsunami of harmonies. And I’m super stoked to announce my special guest for the tour is the talented, mesmerising singer-songwriter, Gordi. Very excited to have you on the road Gordi! 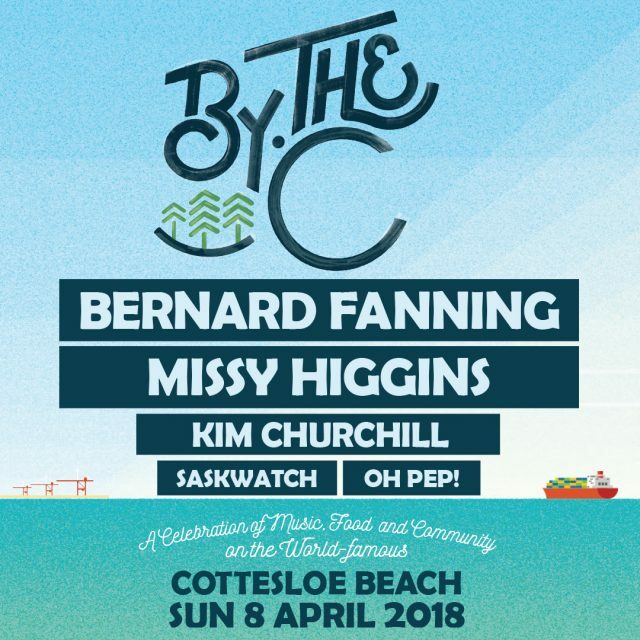 Missy Higgins to play By The C with Bernard Fanning in WA in 2018! Very excited to be playing on one of my fav beaches again with this fine crew next year!